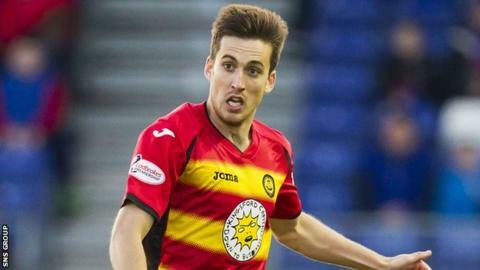 Partick Thistle full-back Callum Booth has signed a new contract extension at Firhill. In February, the 24-year-old triggered a clause in his one-year deal by making 25 appearances, keeping him at the club for next season. Now he has agreed terms for the following campaign, with Thistle holding the option to add a further 12 months until May 2019. Booth has played every minute of every game for the Jags this season. However, the booking picked up in Tuesday's 1-0 win over Dundee United means he will miss the first post-split fixture through suspension. Booth began his career at Hibernian and moved to Thistle on loan in January 2015 before making the switch permanent once his contract at Easter Road expired. Striker Mathias Pogba also triggered a new one-year deal after coming on as a substitute for his 25th appearance against United. The 25-year-old Guinea international joined Thistle in the summer after leaving Crawley Town.